This year's Jockeys' Championship will take place over the "core" premier Flat racing period between May and October. The 2015 championship will now start on Guineas weekend at Newmarket and finish on British Champions Day at Ascot. The first five weeks and final three weeks of the traditional campaign will be excluded from the title race. "The new format provides a more compelling storyline for new and existing racing fans," a Great British Racing statement read. British racing's promotional and marketing body hopes the changes will increase participation in the title race. These changes are designed to increase the 'narrative' of the Flat season, but opponents fear extra confusion. They argue that up until now there's been the traditional Flat campaign on turf from March to November, at which point the 'all-weather' circuit takes over until the turf resumes. But now there's to be this third 'core' season which is the one that decides the jockeys' and owners' title. Meanwhile the trainers' championship runs from November to November. For many that seems as clear as mud. "The new Jockeys' Championship will replace a title contest which, on occasions, has seen leading jockeys either publicly rule themselves out from competing due to its attritional nature or who are absent on overseas riding duties at its start and end," the statement continued. This year's Champion Jockey will receive £25,000, while the jockey who rides the most winners in Britain during the calendar year will win £15,000. 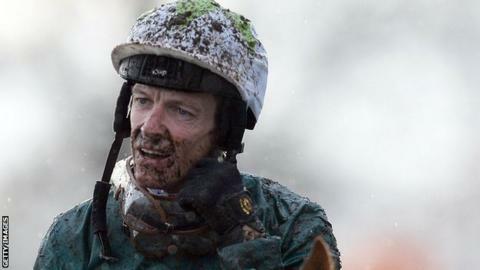 The leading jockey during the All-Weather Championships will take home £10,000. Current Champion Flat Jockey Richard Hughes welcomed the move, saying the changes will "help raise the profile of the sport". Championships will start on Saturday 2 May at Newmarket and conclude on British Champions Day at Ascot on Saturday 17 October. The Champion Jockey will receive £25,000, the runner-up will take home £10,000 and the leading apprentice jockey £5,000. The Jockey of the Month will receive a cash prize "to acknowledge a variety of jockeys across the Weighing Room".